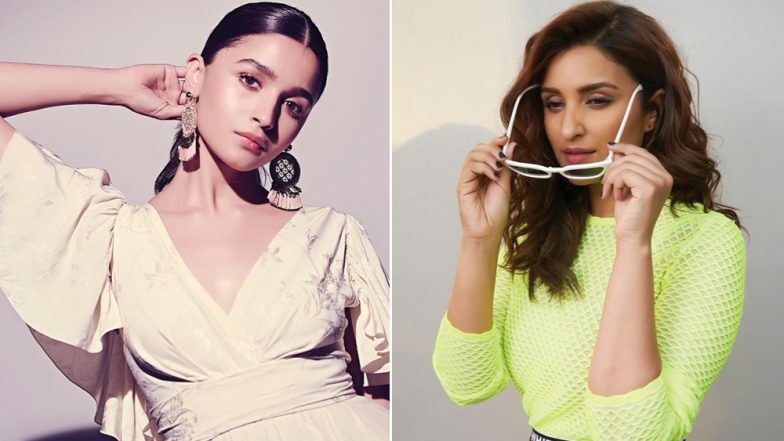 RRR: Alia Bhatt and Parineeti Chopra in SS Rajamouli’s Next? Alia Bhatt and Parineeti Chopra are known for their works in Bollywood. The two are on a roll presently with some fabulous projects in their kitty. But looks like something bigger is awaiting for them! S.S. Rajamouli’s works needn’t be explained, we’ve seen it on the big screens – the Baahubali franchise. Who wouldn’t want to be a part of such a director’s films? The filmmaker is gearing up for another mega budget film, RRR. And according to the latest updates, B-town beauties Alia and Parineeti are being considered as the leading actresses of his upcoming flick. Ajay Devgn to Make a Cameo in Jr NTR and Ram Charan’s RRR, Directed by SS Rajamouli? Tollywood actors Ram Charan and Jr NTR have been roped in to play the male leads. Initially the buzz was, the actors would be essaying the role of brothers onscreen. However, that is not really their role. Ram Charan would be playing the role of a police officer, whereas Jr NTR will be seen as a forest brigand. For those who don’t know, this is the first time the two male leads of RRR are coming together for a film. Fans of the two superstars just can’t contain their excitement ever since they’ve heard this big news. Jr NTR’s Role in SS Rajamouli’s RRR Revealed? Meanwhile, Alia Bhatt is enjoying the success of her last film, Gully Boy in which she was paired opposite Ranveer Singh. The actress will next be seen in Brahmastra in which she is paired opposite her beau Ranbir Kapoor. On the other hand, Parineeti Chopra is gearing up for the release of Kesari which is set to hit the big screens on March 21. She is also busy filming Jabariya Jodi, a rom-com, in which she’ll be sharing screen space with Siddharth Malhotra. Let’s wait and watch if these two gorgeous actresses bags a role or not in S.S. Rajamouli’s RRR.